We have this diamond-patterned film on the lower part of our bedroom window as a visual screen because our window pretty much faces our neighbor’s. 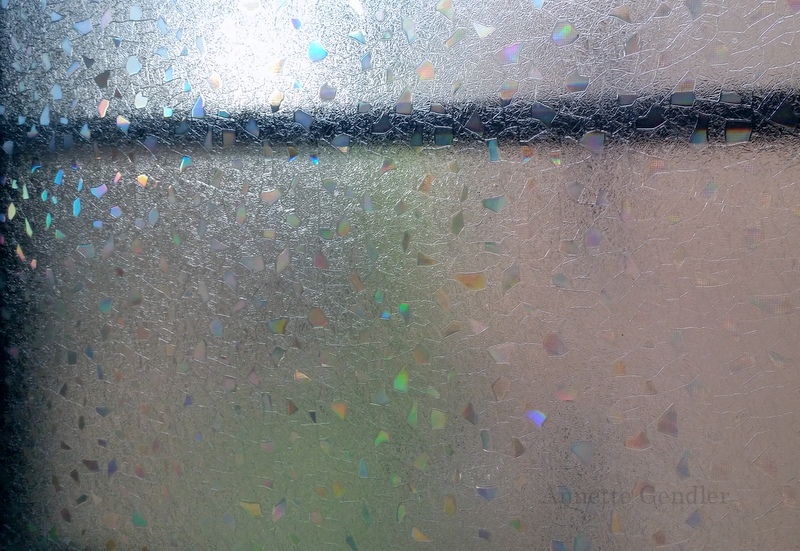 I chose it to mimic the patterned glass of our bathroom windows. An unexpected side effect has been that since our bedroom window is also set at an angle, it catches the western light quite and now throws rainbow colors into the room! Unfortunately today the light isn’t falling just so, but you can at least see all the colors reflected in the pattern on the window. A good idea, and a pleasing pic!